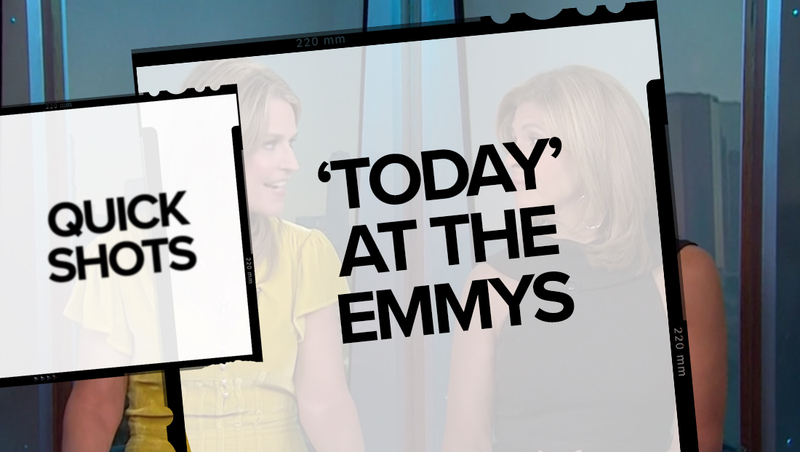 NBC News’ “Today Show” originated from the network’s Los Angeles Brokaw News Center Monday, Sept. 17, 2018, for pre-Emmy coverage. Anchors Savannah Guthrie and Hoda Kotb hosted the show from the corner vertical video wall array using a copy of the show’s white and orange anchor desk. The pair were back in New York and Studio 1A Tuesday, Sept. 18, 2018 and offered post-Emmy coverage, though, unlike some other awards show coverage, the lower third graphics remained the show’s normal blue.